Your Salesforce default display should be like your office desk: designed to achieve maximum sales productivity. For a lot of sales teams, however, configuring Salesforce tabs seems like just another administrative task that takes them away from selling. Many reps never bother. But Salesforce tabs not only help reps focus on the most impactful tools to their role; they also prevent reps from wasting time searching for tools that should be easy to find. While the default display that follows you around the system only allows around 10 tabs, each sales rep may have as many as 50 tabs available. You can view them all by selecting the plus sign on the display panel. 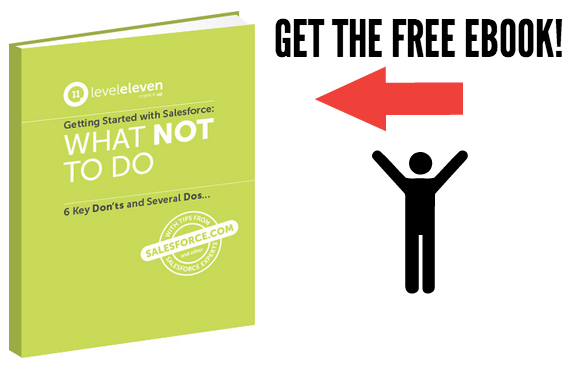 The full list includes features for Salesforce, as well as any installed apps or plugins. Note a few tabs you think should be included for everyone in the sales organization, such as Chatter, contacts and your sales scorecard. Ask your sales reps and managers to take five minutes and do the same. Collect their suggestions and compare them against your own. Ultimately, the decision is up to you. But involving team members in the process provides ground-level input and creates buy-in for the initiative. 2. What is the role and primary responsibility? Aside from the two or three you include for everyone, Salesforce tabs should be very specific to the seller’s main functions. A sales development rep would probably benefit from having leads, accounts, contacts and opportunities in their default display. But tabs like contest builders, reports and dashboards are probably better suited for sales operations or sales management. Consider the most important tasks for each sales role, and then assign tabs accordingly. Again, collect feedback and take that into account when making your decision. 3. What do reps interact with the most? After assigning tabs by organization and role, you can let reps personalize their display. Allow them to select a couple of tabs based on what they use most often or what enables them to be the most efficient. Provide a default tab framework to keep teams aligned, but let your reps customize the final display in a way that works best for them. Use these three questions to determine the best configuration of Salesforce tabs for your team. When you’ve got everything in place, check out this blog to determine whether you’re ready to bring in more Salesforce apps. Increased sales productivity will surely follow. Here are three questions to help turn your Salesforce tabs into your office desk: designed to achieve maximum sales productivity.